"JEANNE, the story of a woman" : an operatic episode by James Swindell and Mark Warhol; presented by Fort Point Theatre Channel in collaboration with Contrapose Dance and Ensemble Warhol. At the Boston University Dance Theatre on Sept. 11-12, 2015. BOSTON - Aug. 22, 2015 - PRLog -- JEANNE, the story of a woman, an operatic episode presented by Fort Point Theatre Channel in collaboration with Contrapose Dance and Ensemble Warhol. Performances Friday & Saturday, September 11 & 12, 8:00 pm. Boston University Dance Theater, 915 Commonwealth Avenue (entrance on Buick Street), Boston, MA 02215. Tickets: $20 ($14 students, seniors, and members of the Boston Dance Alliance). For more information: www.fortpointtheatrechannel.org/jeanne; for reservations: 800.838.3006, www.fortpointtheatrechannel.org/tickets-shows. Contrapose Dance and Ensemble Warhol join forces with Fort Point Theatre Channel in presenting an hour long operatic episode entitled JEANNE, the story of a woman. This production is a fully staged excerpt derived from JEANNE, a full-length opera by James Swindell and Mark Warhol. JEANNE, the story of a woman promises to not only intrigue the audience on its own merits, but also to leave them with a craving to view the completed work. At the moment, that opportunity is still a best kept secret. JEANNE, the story of a woman will feature the choreography of Junichi Fukuda, accompanied by the music of composer Mark Warhol which will be performed live by the Boston String Quartet, conducted by Andrew Altenbach. Evie Huang on double bass will join the quartet for this particular production. Percussionist Bob Schulz will provide additional solo accompaniment for the prelude and postlude. Opera singers Anna Ward (soprano) and Patrick Massey (tenor), along with Contrapose dancers Nina Brindamour, Danielle Davidson, and Magdalena Gyftopoulos, will portray a modern day tale of birth, labor, death … a story of wisdom that comes with age and of innocence that only youth can claim as their own. Interacting within a set designed by Richard Dorff, the vocalist protagonists, along with the dancers, will use movement as another means to communicate their energy, passion, and tension. 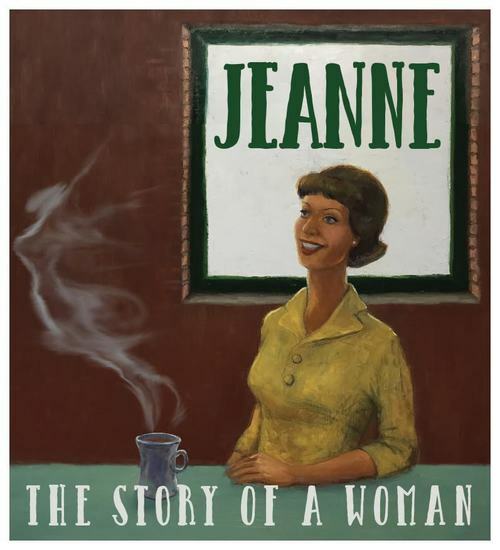 For JEANNE, the story of a woman is a tale rich with attraction, perhaps considered fatal, as the protagonists are swept away towards their inevitable, inescapable destiny. JEANNE, the story of a woman is the second collaboration between Contrapose Dance, Ensemble Warhol, and Fort Point Theatre Channel in fully realizing an operatic episode from JEANNE by Swindell and Warhol. An example ofthis 2011 collaboration, JEANNE’s Fantasy, can be viewed at https://www.youtube.com/watch?v=-l6q0a42slU. For complete background on all participants visit www.fortpointtheatrechannel.org/jeanne.